Thanks for this picture to Danny Aguilera. Although historically old, the city of San Juan lacks the colonial charm of other Argentine cities in the north, as it was entirely re-built to meet anti-seismic standards after a major earthquake in 1944 completely flattened it. 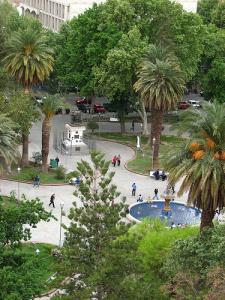 However, little seismic activity has been registered since then and the “Sanjuaninos” have ensured their city has plenty of parks, broad leafy avenues and wide pavements which make it very attractive. San Juan has plenty of museums, some of greater interest than others, and also the largest concert hall in South America, with stunning acoustics. Your first stop should be the Tourist Information Office to pick up a map.